Invisible Blow is inspired by poems describing the unexpected knock-out blows in life. Invisible blow is a boxing term, a boxing match can be considered as a metaphor for life. 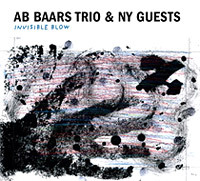 The texts were chosen by Ab Baars with the assistance of Anneke Brassinga. Joyce Carol Oates' essay collection 'On Boxing' served as a source book.